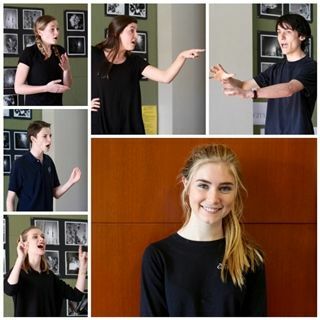 Last week, theater students participated in Pacific Ridge School's 6th annual Shakespeare Monologues competition. King John. Senior Catherine Ames and sophomore Rachael Bell were named Runners-Up and senior Cosmo Cothran-Bray came in third place. Skyler Walsh, Ollie McClymonds, Sophie DeLange, Powell Sheagran, and Claire St. Marie all earned honorable mentions. All student participants benefited from the opportunity to develop their communication skills and deepened their appreciation for the power of language and literature!